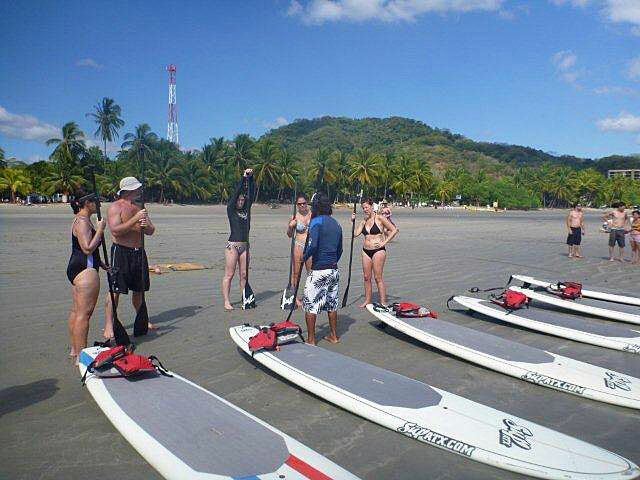 Costa Rica Stand Up Paddle tours are getting more and more popular, especially on the warm, beautiful beaches of Costa Rica! Stand Up Paddle or SUP, as it\'s called for short, has its roots in ancient Polynesia and looks exactly as it sounds: you stand up on a large, wide, super buoyant surfboard and paddle yourself forward with a long paddle. Stand Up Paddling, besides being a lot of a fun is a great workout for your core muscles, builds balance and is less daunting and more consistent than regular surfing. And ... the skills you learn in Costa Rica can be applied to the sport back home after your vacation. 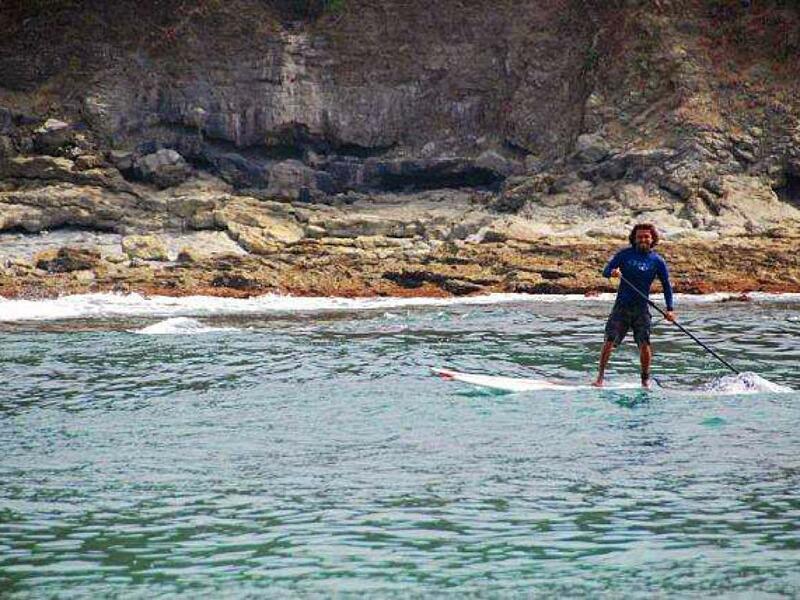 Be a part of this exciting new trend and learn how to SUP and take a Stand Up Paddle tour with Desafío Adventure Company. 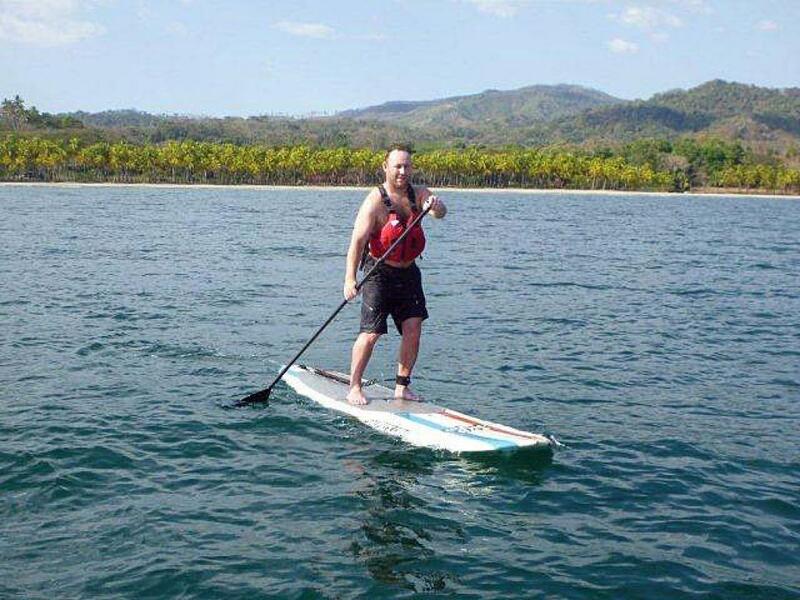 Samara beach is perfect for SUP: besides being beautiful it is a relatively safe swimming beach and a great location to take a lesson in paddle surfing. 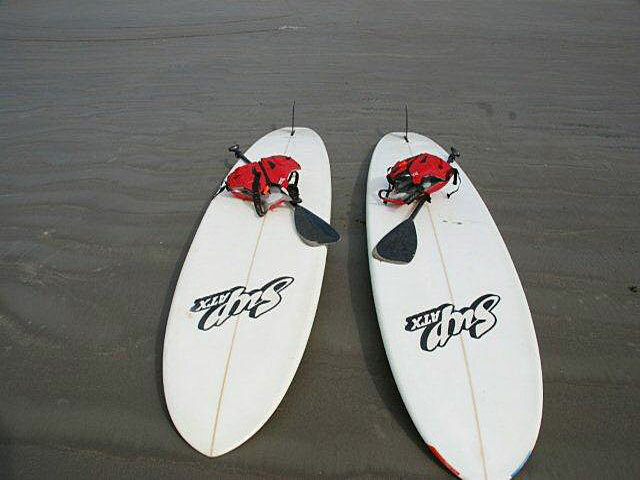 Get your exclusive, introductory SUP lessons from the only Stand Up Paddle outfitter in the Northern Region of Costa Rica.